The time of Locutus has passed, though it is still taking its toll on Captain Picard. With the Enterprise getting repairs in Earth’s orbit, Jean Luc decides to go to his ancestral home in France. All he has to figure out now is why he has gone home, and whether he ever wants to leave again. Also – It is bring Worf’s parents to work day (unbeknownst to Worf). All of that and Wes gets a message from the past. 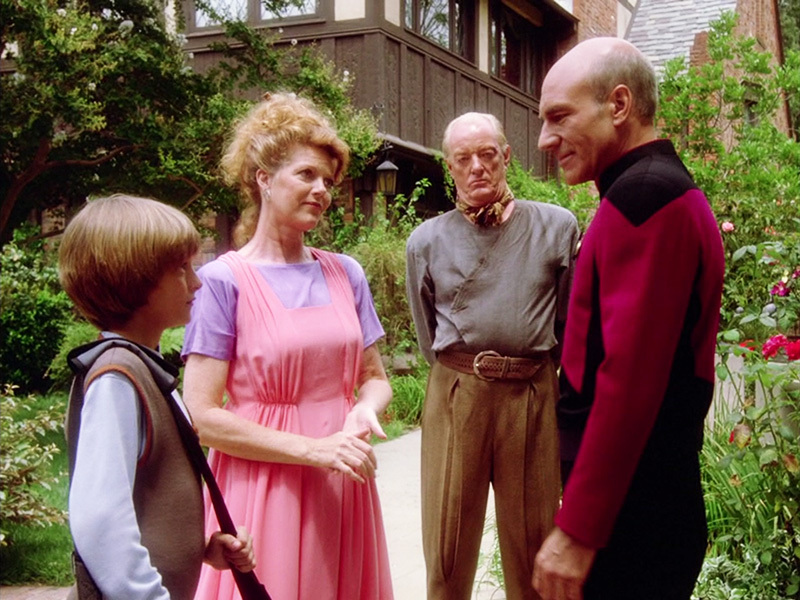 So much to talk and talk and talk about when we put Family in the Mission Log.